This week we’re sharing some of the top questions asked on the more than 20,000 square-feet of stand-out amenities that Azure Ala Moana has to offer. 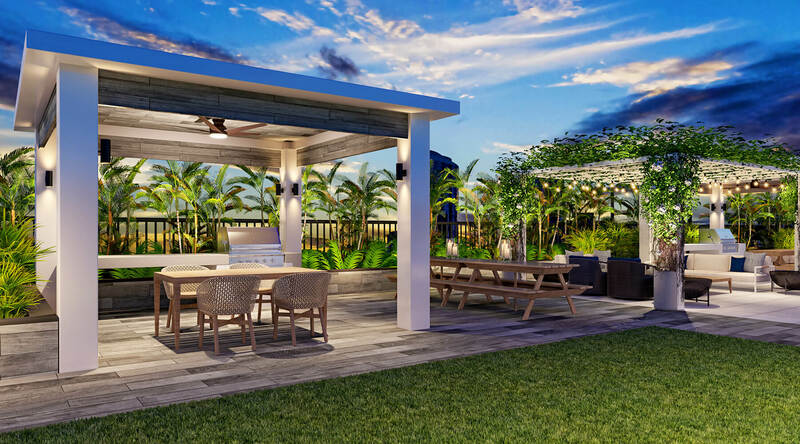 From a Fitness Center with outdoor work out area, Club Lounge with kitchen, and movie theater the unparalleled amenity collection found at Azure Ala Moana transforms modern conveniences to create the lifestyle you’ve always dreamed of. We’ve reached a new milestone at Azure. Demolition of the final structure on site was recently completed, paving way for construction to soon begin. Chef Chai stopped by our Azure Ala Moana’s Sales Gallery and Model Residence for a quick tour. See what features he loves and what he likes about the Midtown neighborhood. Celebrate the Lunar New Year in Midtown Ala Moana. This year the Lunar New Year falls on February 5, 2019, and ushers in the Year of the Pig. The twelfth of 12 zodiac signs, in Chinese culture pigs are considered a symbol of wealth and fortune because of their chubby faces and large ears. In Midtown Ala Moana you can help to ensure your own good fortune with some of these beloved Lunar New Year traditions. ProsPac Holdings Group is underway with demolition at the site of its planned 41-story mixed-use tower, Azure Ala Moana, across from the flagship Honolulu Walmart store and is aiming for an April start date for construction. Buying a home is often the biggest purchase an individual will make in their lifetime. There are so many things to consider and many things that even a seasoned home buyer may find complex.